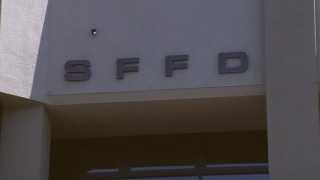 The San Francisco Fire Department is moving to dismiss veteran captain who had commanded an elite rescue dive team on charges he made sexist and racist remarks and made inappropriate contact with women firefighters, NBC Bay Area learned on Friday. Jon Del Bino was escorted from a fire house at 7 a.m. Friday and now faces dismissal after at least a dozen firefighters came forward. Some say he engaged in inappropriate bumping and touching. The investigation, first reported by NBC Bay Area, began after Del Bino, who has not responded to requests for comment, was notified earlier this year that he faced a 10-day suspension for ordering an African American firefighter on the rescue dive team Del Bino commanded to descend to a depth that was 30 feet lower than his certified dive level. After that probe, several firefighters under his command at Station 7 came forward to claim that Del Bino routinely made disparaging remards about women and African American firefighters. Some women firefighters accused him of “inappropriate” bumping and touching. Sources said that Del Bino is now on paid administrative leave after being removed from Station 20 in Diamond Heights, where he had been transferred pending the outcome of the probe. NBC first reported a string of embarrassing incidents at the department involving sexual harassment. The chief ordered a command shuffle at Station 2 in Chinatown, where a woman firefighter recounted an intimidation and harassment campaign that included someone. In an unrelated case, Hayes-White demoted a member of the command staff, Ken Lombardi from assistant deputy chief to captain amid allegations that he harassed a civilian subordinate. Hayes-White also issued a bulletin requiring department wide sexual harassment training by year’s end.